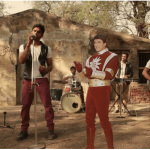 Turns out Shaktimaan was just our stepping stone into the world of entertainment, music and immense love showered upon us! One gig with the legendary Rahul Ram from Indian Ocean at Hard Rock Cafe in Mumbai changed the course of our lives for us. We entertained, we enthralled we learnt and we got noticed. The next thing we knew, we found ourselves entertaining Farah Khan and Anu Mallik in Sony’s Entertainment ke liye Kuch bhi Karega! Our heady concoction of four monsoons special songs (two from Bollywood) creatively mingled with Gujarati folk songs did the trick for us. 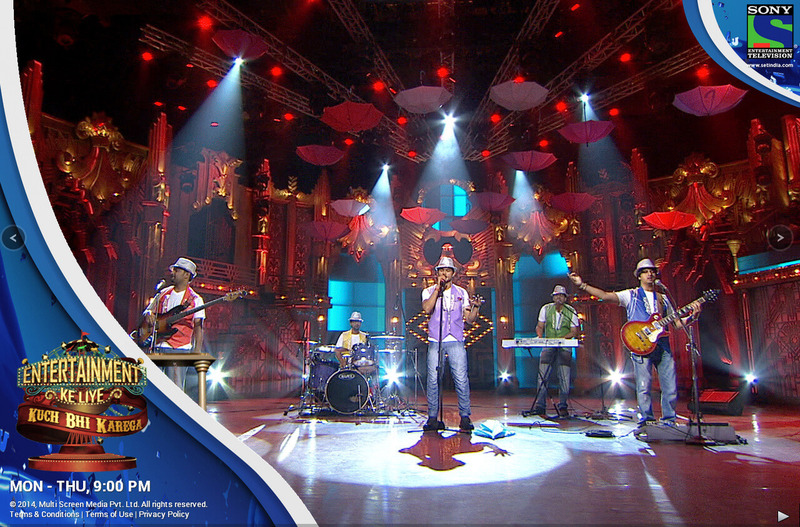 The medley with its unique touch of fusion and foot tapping beats won everyone’s hearts and we were declared the ‘Entertainer of the Day’. For a set of young chaps who’d stepped on the national stage for the first time, this boosted our confidence off the roof. Our quarter finals performance put us right up on the list of promising talents in the country. Samjhawaan, Title, Pathaka Guddi and several other Bollywood songs found their way into our performance after they received our personal touch of reggae, jazz, hard rock and electric beats. And while there is immense Western influence, why must the soothing Indian music be left in absence? Because these instruments and techniques weren’t enough for us, we mixed it up with tabla and sitar, pushing our limits. We were accompanied by the 2013 Indian Idol finalists and dancer Charles Ma. Together they completed our dream portrait of how we envisioned our performance. Everything working together in its synchronisation was like adding colours to our sketch. It taught us how important it is for a performance to be appealing in all factors.